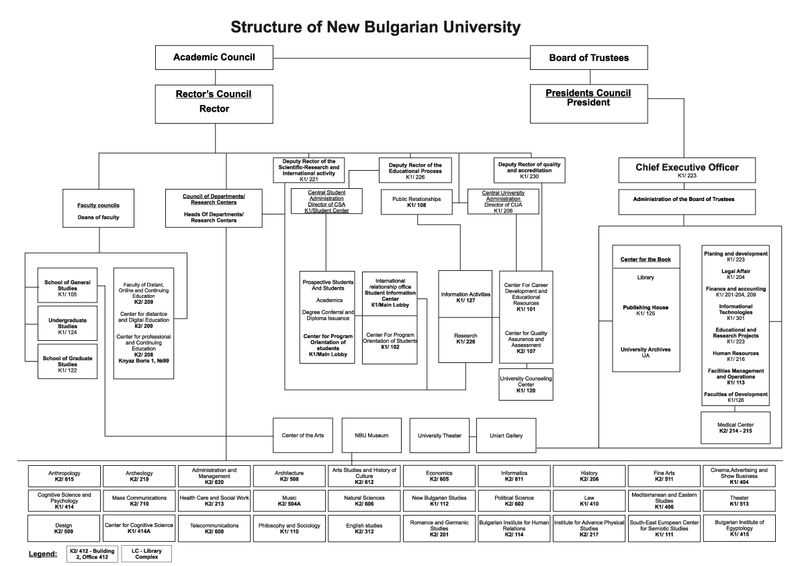 New Bulgarian University was founded as a private university with a resolution by Bulgarian Parliament on 18 September 1991 (promulgated in State Gazette, Issue 80 of 27 September 1991) pursuant to Article 86(1) and Article 53(5) of the Constitution of the Republic of Bulgaria and Article 2(1) of the Higher Education Act. In 2012, NBU was awarded a third maximum six-year accreditation by the National Evaluation and Accreditation Agency. In 2006, NBU earned a second maximum accreditation (6 years) from the National Evaluation and Accreditation Agency. On 5 July 2001, the National Evaluation and Accreditation Agency granted accreditation to NBU for the maximum term of 6 years. As an accredited institution, NBU may lawfully operate as a university and award degrees that are relevant, recognized, and respected. На 18.10.2004 г. Нов български университет получава акредитация за 5-годишен първоначален период от The Open University във Великобритания. Акредитацията позволява НБУ да предлага обучение по програмите на The Open University. Акредитацията на НБУ от The Open University Validation Services е за нов 5-годишен период, считано от септември 2009 г. The NBU Centre for Foreign Languages is a co-founder and an Accredited Member of OPTIMA Bulgarian Association for Quality Language Services, which is an Associate Member of EAQUALS (Evaluation & Accreditation of Quality in Language Services), an international association of institutions and organizations involved in language education. NBU is an approved examination center for the ÖSD (Österreichisches Sprachdiplom Deutsch), an Austrian state-approved examination and assessment system for German as a Foreign Language / German as a Second Language. ÖSD exams correspond to the levels of the Common European Framework of Reference for Languages (CEFR).